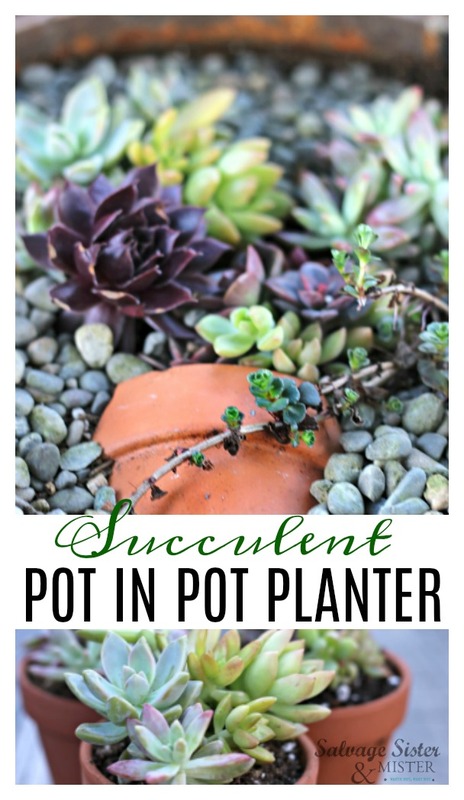 Recently, I saw a new trend on Instagram #succiepotinpot, a succulent pot in pot. 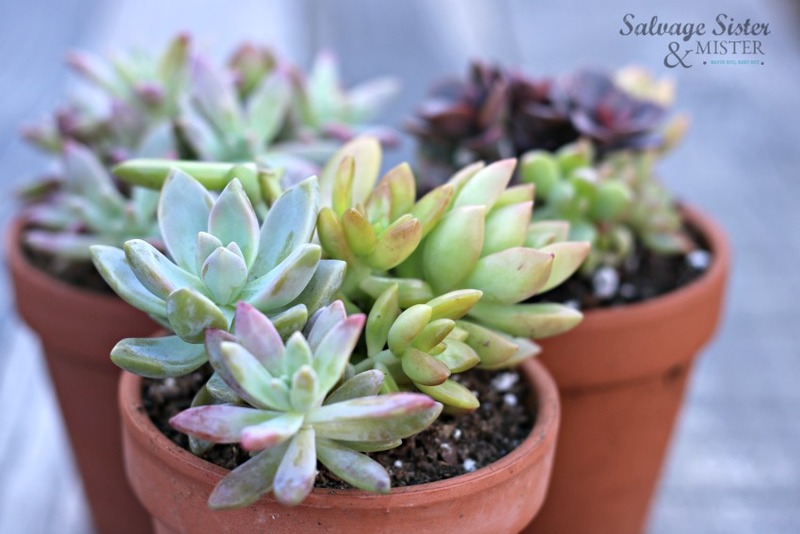 I just love some succulents, as you may have seen here, so I thought I would make this easy craft. Plus, it’s a fun way to use a broken item like a teacup, mug, or pot. 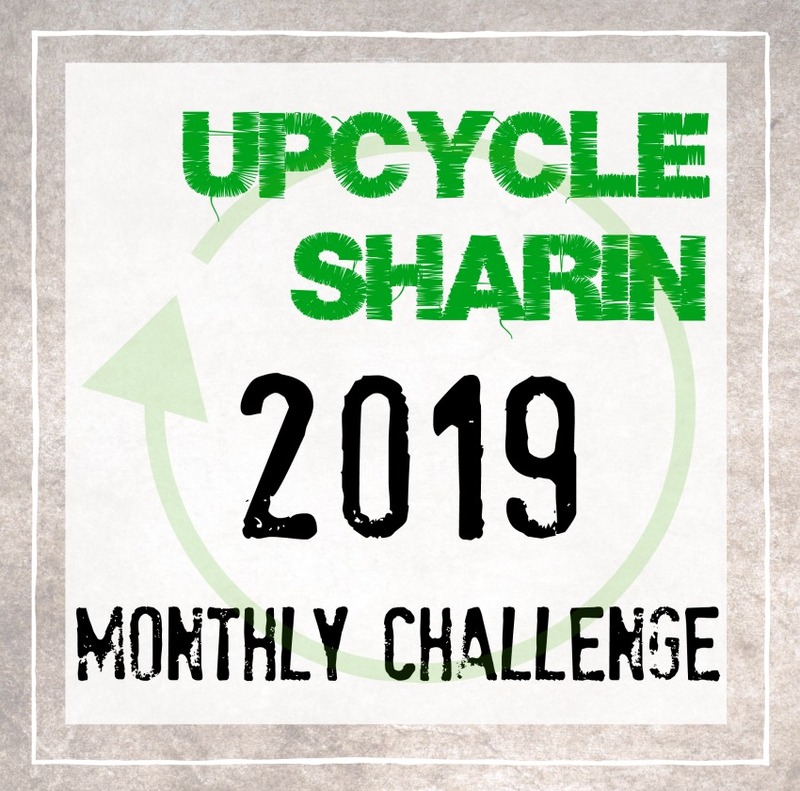 This is to kick off our April UPCYCLE SHARIN MONTHLY CHALLENGE if you want more info on the challenge you can go here. This month’s theme is GARDEN. To enter your project, please be sure to scroll to the end where there is a link up option. You have until midnight on the 15th to enter. After that, it is open to voting and the person with the most votes wins. 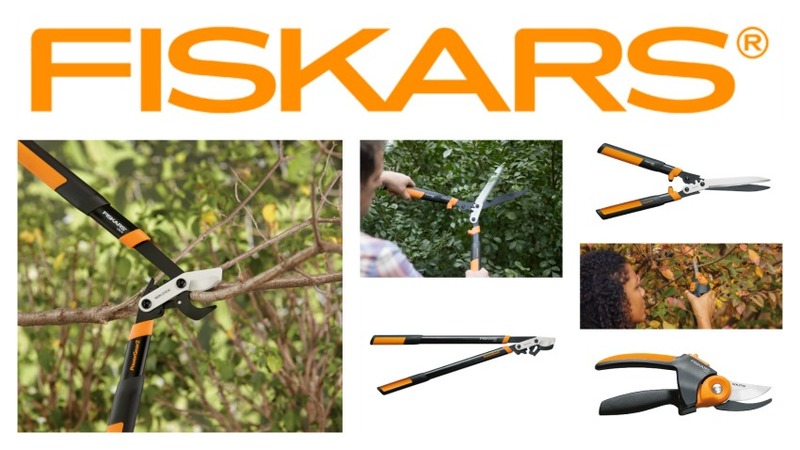 Our sponsor for this month is Fiskars. They will be offering a packaged valued at $100 to the winner, available to ship to the US or Canada. *We do use affiliate links to show products used or similar. You can read our full disclosure policy here. 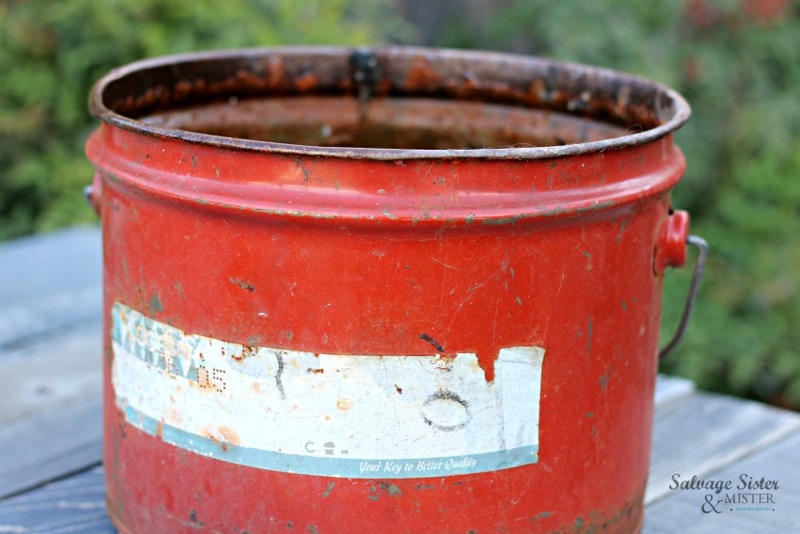 Fill your large pot with dirt. If it doesn’t allow drainage, you will want to make sure there is a rock base (like we did here), so water doesn’t collect or make some drainage holes. 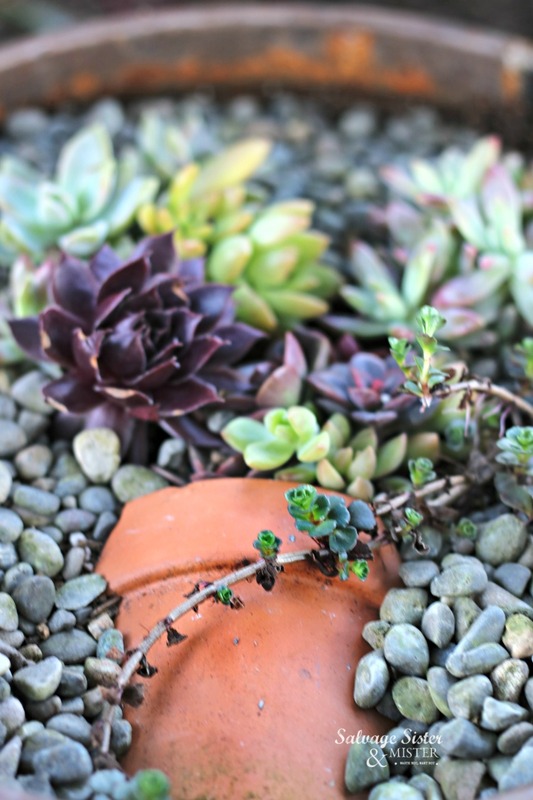 Plant the succulents in the design you like. Add your smaller pot facing down. Add additional soil if needed and rock, or whatever you like, around the border. Obviously, this is super easy and just about design. I thought this type of water can would be fun too. Just use your imagination to whatever suits you. 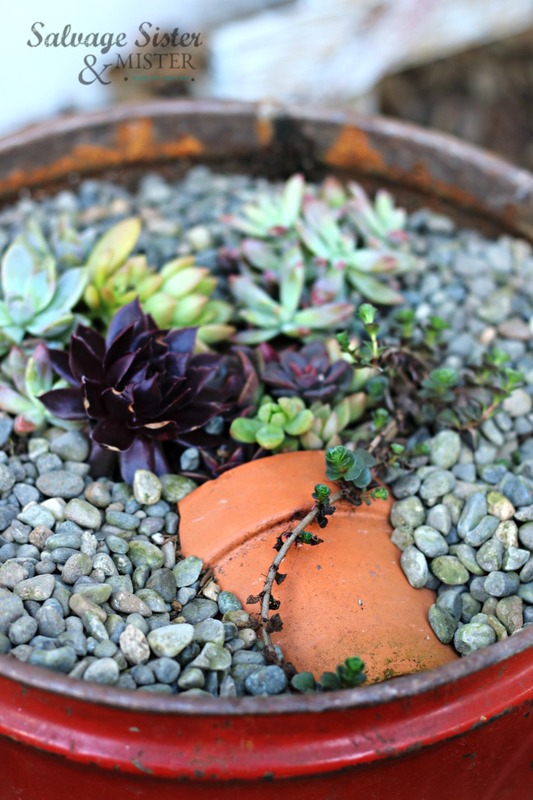 Be sure to share in the comments how you would make your succulent pot in pot planter. Are you ready to add your garden project? All you have to do is link it up here. It just needs to be an upcycle project that has a garden theme, that’s it. And, don’t forget to join our Upcycle Sharin group on facebook, if you haven’t already. This is such a sweet idea, Deborah! I can see a whole lot of these all in different pot sizes to create a feature! Thank you Sam. I agree so may options for them. Thanks Sam..I can do, or even out in the garden or by a potting shed. 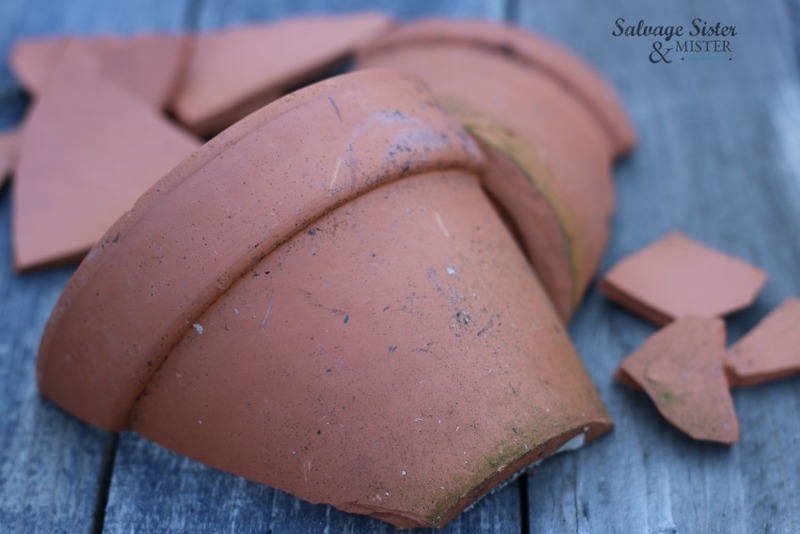 What a great idea to repurpose a broken pot. Love it!! We think a like. I have done this in my garden. Looks great. Fun! I love the look. That would look awesome in a garden for sure! Love this such a cute repurpose of something destined for the bin. Really neat idea. I love plants and groups of different ones in the save pot is so pretty. Thank you Kippi. It was a fun project.